What are you looking for in a lifestyle today? Do you want to free up money to travel meet new people enjoy swimming playing pool darts, bowling, arts and crafts woodwork or just relaxing with friends? If you answered yes to one of these then you can not afford to miss this event. Learn why living in a lifestyle community makes so much sense! You are invited to our ‘Helena Valley INFO Day’ where you can experience the resort style facilities at Helena Valleys NEW $6 million club house (with stages 3 & 4 starting now) and learn why research suggests you can live longer in a lifestyle community. Helena Valley Lifestyle Village is more than just a safe and friendly community – it’s also full of great facilities to make every day more pleasurable. Discover what living in a lifestyle community is all about. Plus hear from Perth’s ‘Lifestyle Village’ Architect guru Richard Hammond as he shares his vision on the importance of design and master planning Lifestyle Communities like Helena Valley. Lifestylers will also be there to answer questions. Don’t miss out the last INFO Day was booked out! Enjoy morning tea and a village tour PLUS take advantage of up to $30,000* in savings on the day. Buy any new home and receive a $5,000 travel voucher and use it to travel anywhere in the world. To qualify for the NLV Downsizers Grant you must meet the conditions below. Offers to be received between 2nd January 2019 and on or before 29th June 2019. Clients must provide an unconditional offer within 90 days of the offer. To qualify for the $5,000 travel voucher BONUS you must register online and attend the INFO DAY. 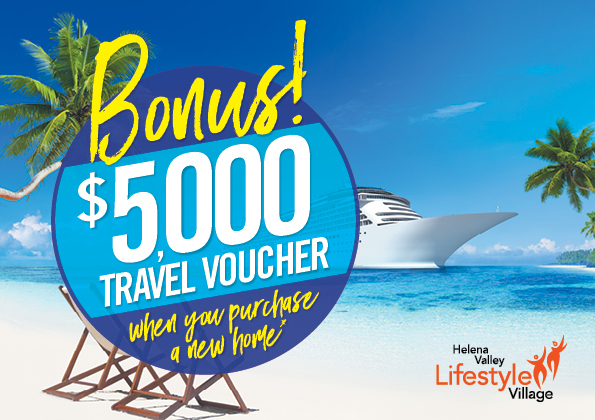 Valid for 60 days, the $5,000 travel voucher BONUS can be used in conjunction with DOWNSIZER Grants to give you up to $30,000 in BONUS discounts on your new home purchase. 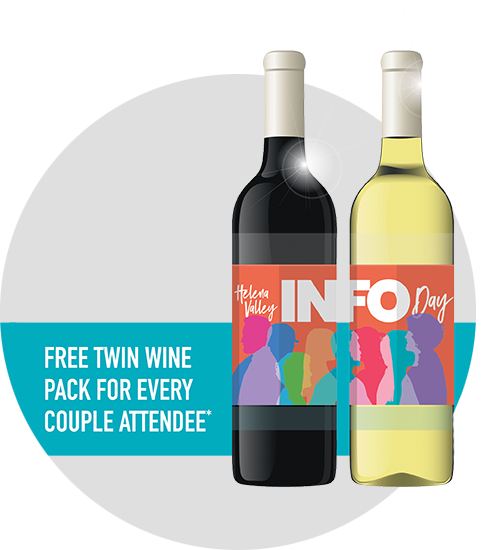 ^To receive your FREE wine you must register online and attend the INFO DAY.